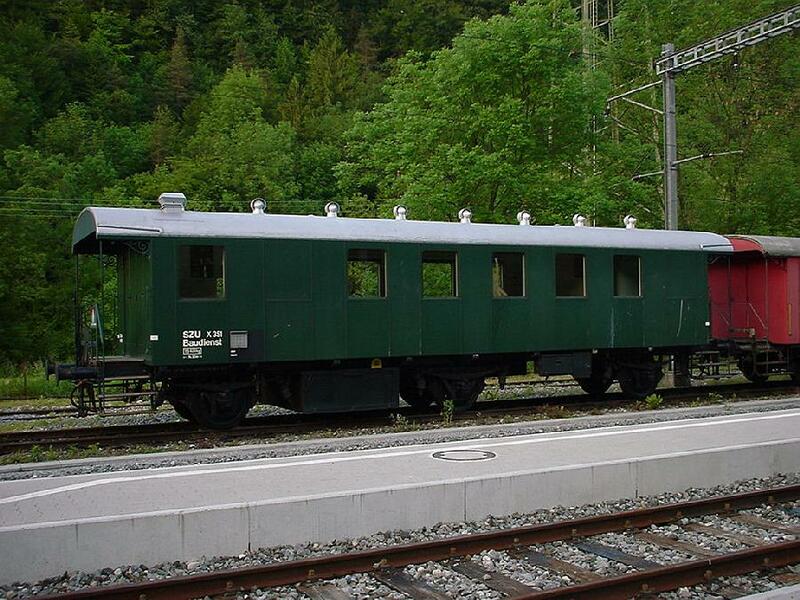 Sihltalbahn used to be a part of the SZU or Sihltal - Z�rich - Uetliberg -Bahn Gruppe still when these pictures were taken. 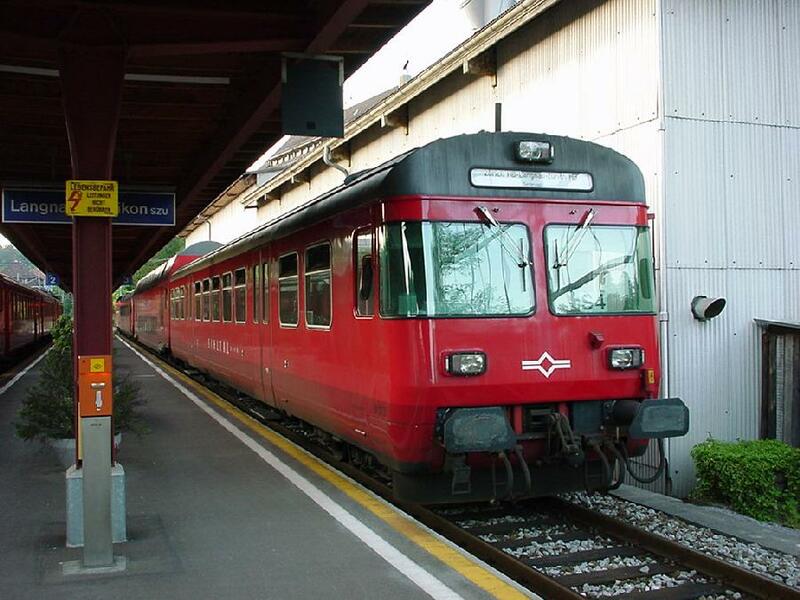 The SZU was a combination of two Z�rich region private railroads, the Sihltalbahn, which operates the S-Bahn line S4 from Z�rich up the valley of the Sihl river and the Uetlibergbahn, which climbs steeply up the hillside of Uetliberg, landmark of Z�rich. 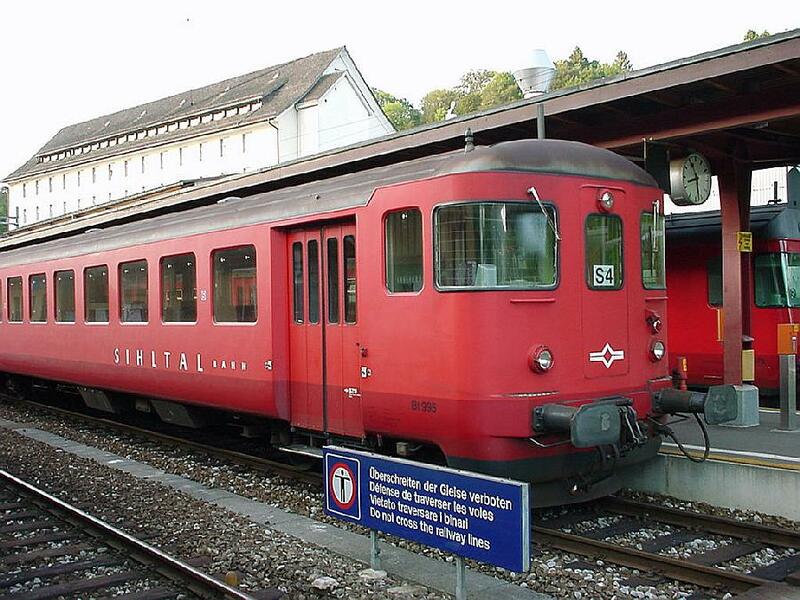 Synergy between these two lines was modest: although both are normal gauge railroads, the Sihltalbahn was electrified with the usual 'big railroads' 15 kV AC, 16,7 Hz whereas the Uetlibergbahn used the tram-like DC 1200V DC - and with a very exotic aerial (please see the section of Uetlibergbahn). 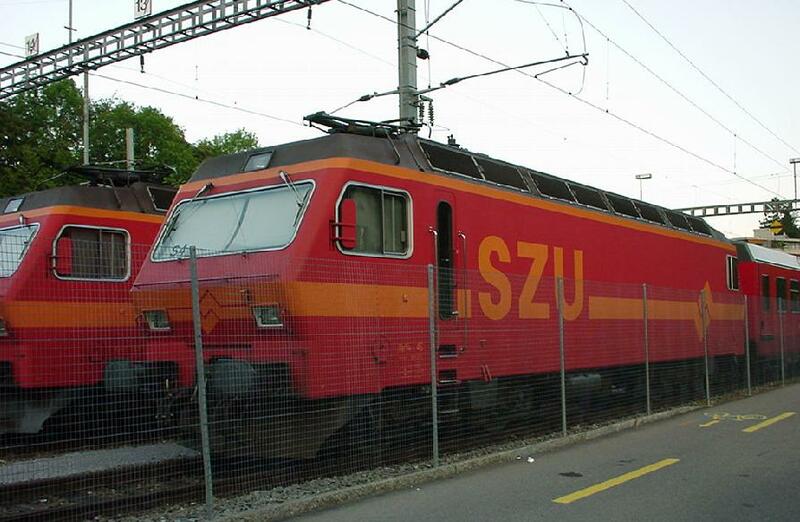 The combined companies that made up SZU split again in 1999-2000. 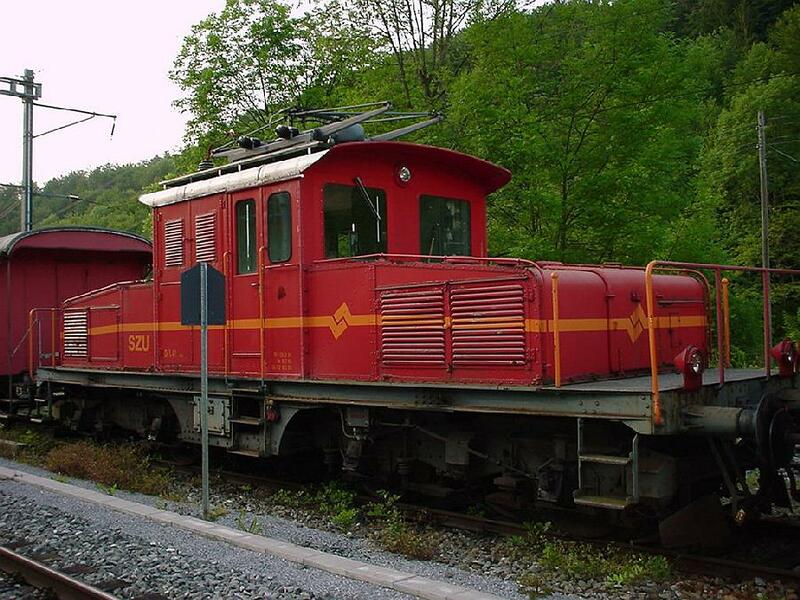 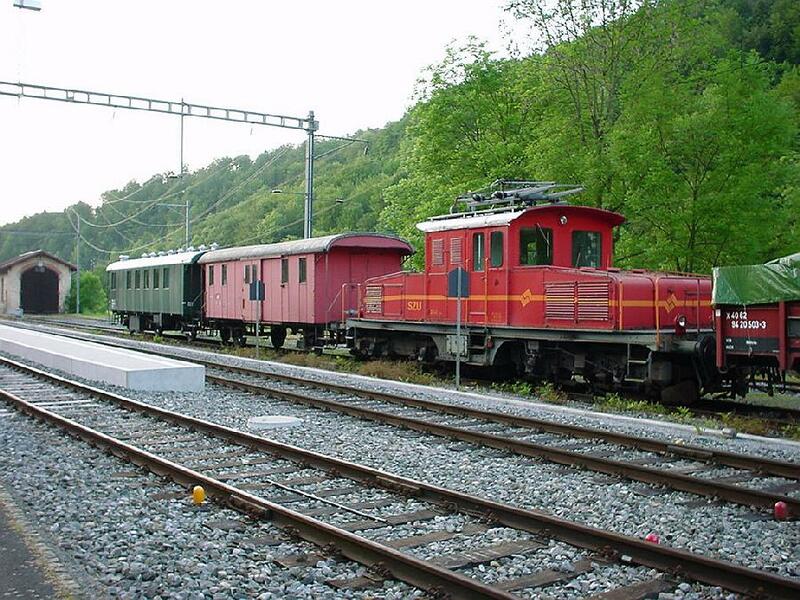 Sihltalbahn is a 28 km long piece of normal gauge, normal electricity railroad from Z�rich up the Sihl valley, connecting nowadays a series of suburban areas to central Z�rich. 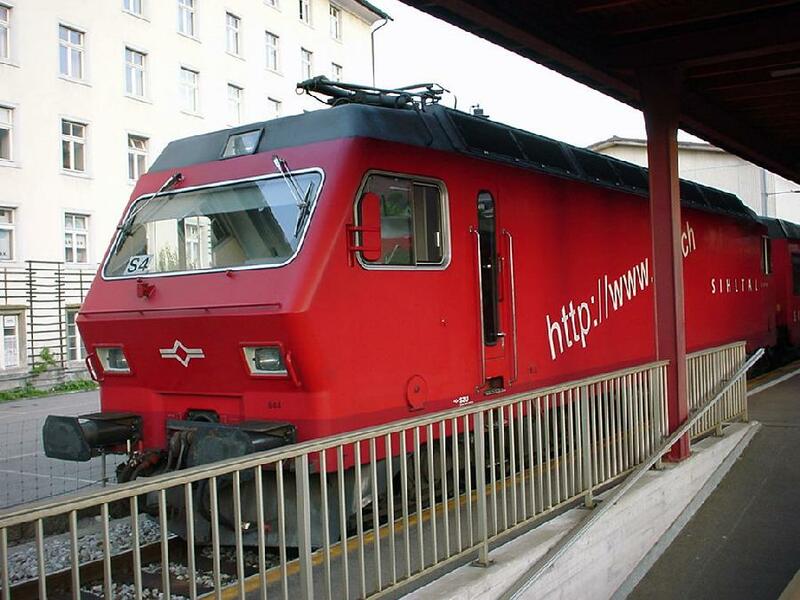 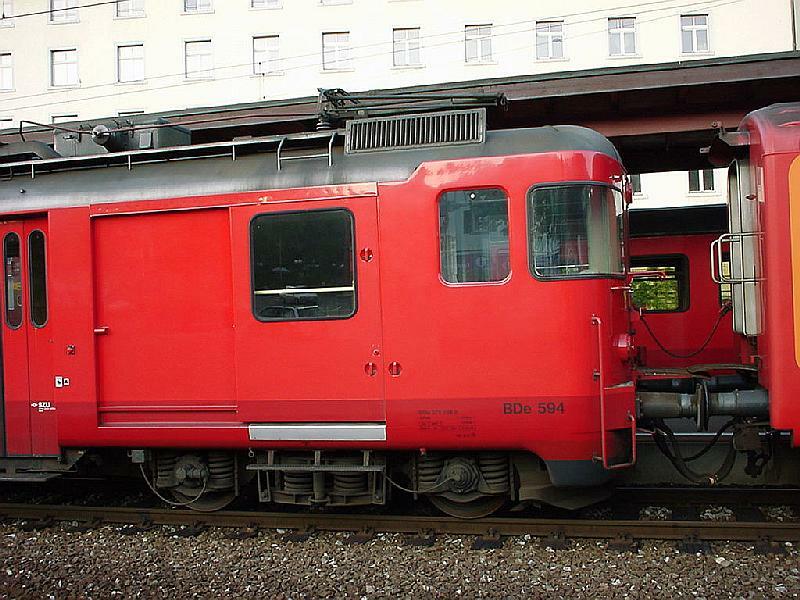 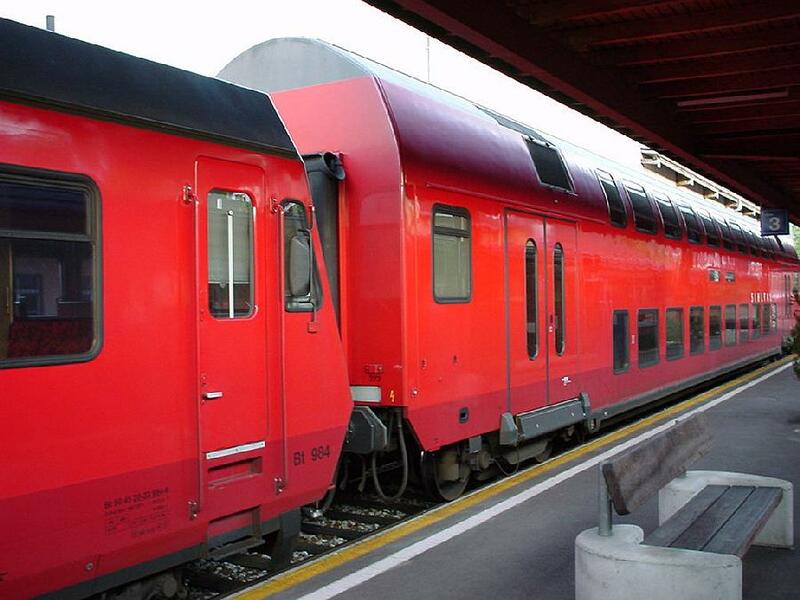 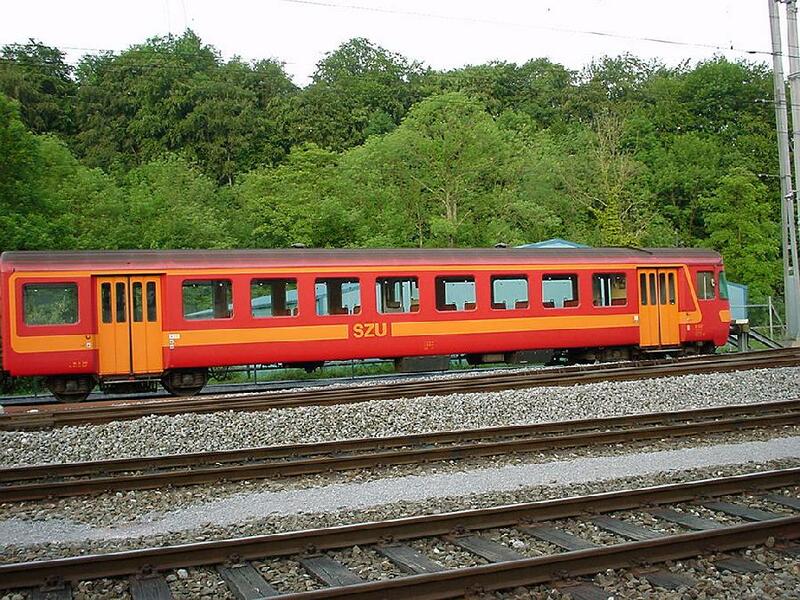 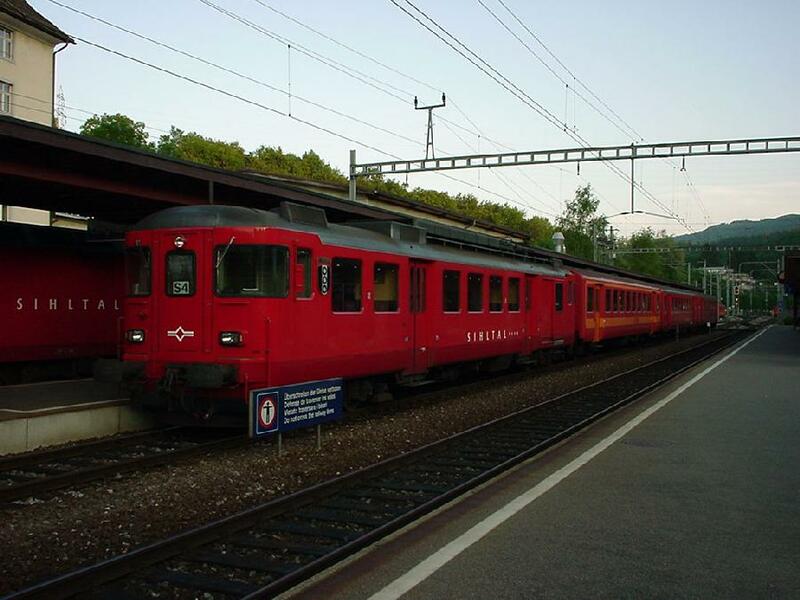 The typical Sihltalbahn train is a locomotive led, 'German style' short commuter train with a modern Re 4/4 (Re 456) locomotive and one or two red double decker coaches plus one or two normal coaches, the last one with a cockpit. 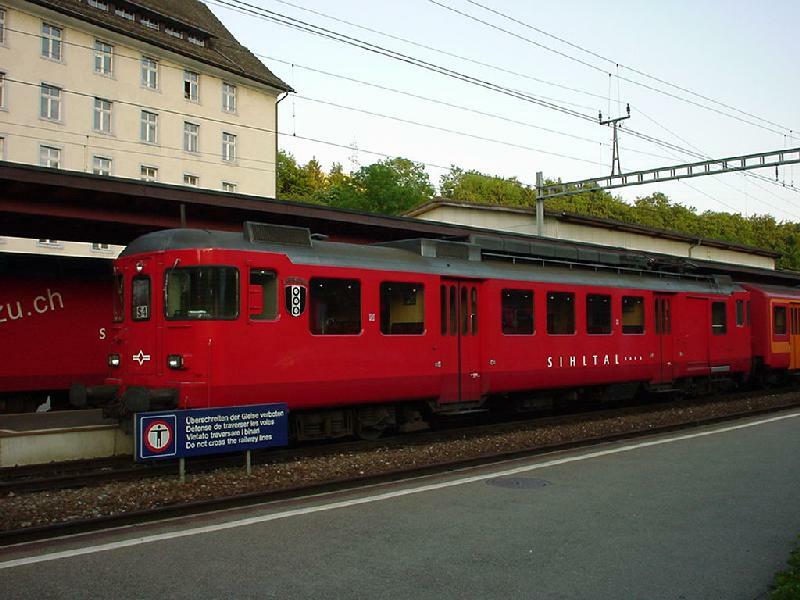 Although a modern suburban railroad, the Sihltalbahn has traditions: the track was opened for service already 10.5.1875 and still today operates several historic trains in addition to the busy city commuters.